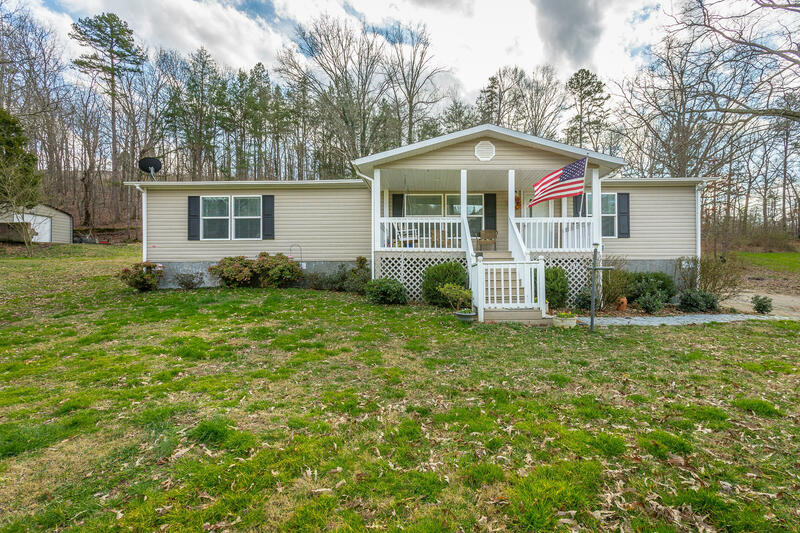 Two full acres of very usable yard with slight wooded back space for back yard barrier. This beautiful newer home boast of three bedrooms, two baths with open concept. Added covered front porch, rear facing deck, RV hookup, and metal barn. Sit on the porch or deck and see the wild life roam through. It is fun to watch the turkey graze. It is MOVE IN ready. No apologies for this extra well maintained and cared for home. ONE LEVEL. Call for your Private Tour today.